Providing delivery services for a multitude of restaurants in over 500 markets in the United States, Grubhub is one of the most successful and well-known online and mobile food-ordering companies in the world. One could summarize its services by saying that Grubhub Delivery allows customers to go online and get their favorite dishes from local businesses delivered to them quickly and efficiently. In order to help you know more about this business and the services it provides, this article will go over Grubhub Delivery’s most outstanding and important aspects. Headquartered in Chicago, Illinois, Grubhub is an online and mobile food-ordering company. Through its services, Grubhub connects diners and local food businesses, serving as a liaison between the two. It provides delivery services that are convenient for all parties involved. The business was founded in the year 2004 by two web developers named Matthew Maloney and Michael Evans. Looking for an alternative to paper menus and ways to bring the food delivery business to the 21st century, the pair came up with the concept that now drives Grubhub. It acts as a link between customers and local restaurants, making the business interaction between them faster and more convenient. Without a doubt, a great advance in that direction was the merger Grubhub had with Seamless. Seamless was an already-existent web-based system for ordering food from restaurants and caterers. The merger came about in the year 2013. By offering a quick, efficient and convenient service, Grubhub Delivery was able to gain quite a bit of popularity through the years. The food-ordering company became even more successful when, in June 2014, it began providing delivery services for restaurants that do not operate delivery services of their own. 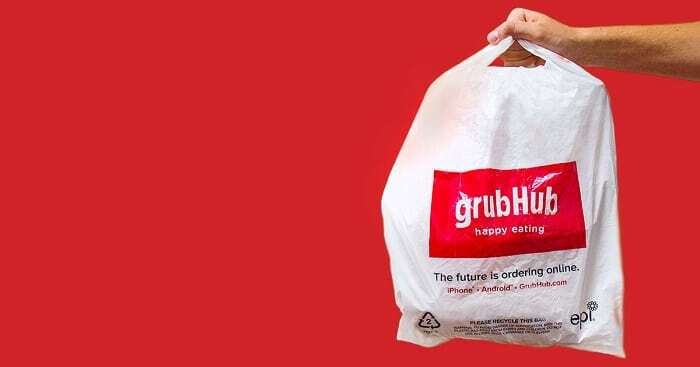 As a result of this intelligent business move, today, Grubhub delivers in more than 50 different markets across the United States of America. Within the 50 markets the company operates in, there are around 5000 restaurants that use Grubhub as their primary means of delivery. Recently, Grubhub even made its first international leap by making its services available in the United Kingdom. As a result, the company operates delivery services for 14 million active diners in 1600 cities. About 80000 of them are restaurant partners. At this point, this guide would be remiss not to note that the previously listed market areas are the ones publicly announced by the company. As a result, there may be various existing markets that are not on the list, including various regions in the United Kingdom. Because it functions as a middleman between customers and businesses, Grubhub can’t guarantee that any particular order will be ready within a certain timeframe. In order to obtain accurate information regarding Grubhub delivery times, it’s necessary for customers to reach out to the company directly. There may also be additional factors that affect delivery time. This includes the location of the restaurant, the distance of the delivery, the size of the order and external conditions such as traffic or weather. At the moment, all Grubhub deliveries have a standard fee of $9.99 and an order minimum of $50. Real-time order tracking. In order to be more convenient for its customers, Grubhub has recently introduced a real-time order tracking system. Being able to be accessed through the web or the company’s app, this service allows customers to follow their order as it makes their way to their front door. Groupon partnership. In order to further benefit its clientele, Grubhub has partnered with Groupon. Through this partnership, the food delivery company is able to provide discounts and other benefits to users of the e-commerce and coupon service. Grubhub rewards. Through various partnerships with other companies, Grubhub offers its most assiduous customers various rewards. These rewards are obtained through the accumulation of points which are earned by using Grubhub. Typically, these rewards come in the form of gift cards that can be redeemed for different products and services. Grubhub For Work corporate catering. Grubhub also offers special catering services for offices and other workplaces. Whether it’s for one person or many more, Grubhub offers daily deliveries at a set time of the day. Additionally, it offers catering services for one-off special occasions, all-day business meetings, conventions and more. Going through all the benefits provided by Grubhub Delivery, it’s easy to see why it has grown to be one of the most successful businesses of its kind. Have you tried Grubhub’s services recently? We would love to learn about your experience! Hey Buddy!, I found this information for you: "Grubhub Delivery 101: Areas, Hours, Fees". Here is the website link: https://all2door.com/grubhub-delivery/. Thank you.